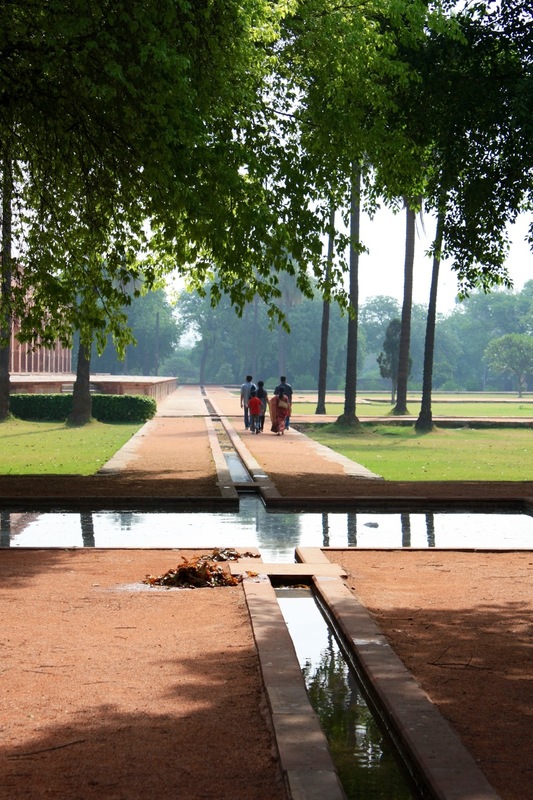 This peaceful shot was taken during my last visit to Delhi in the gardens surrounding Humayun’s tomb. It was early in the morning as the groundsmen cleared leaves from the narrow rills and square pools. Little remains of the vast majority of Mughal gardens. It’s likely that their formal, geometric framework of water, pathways and specimen trees would originally have been softened by flowering plants such as roses, carnations and tulips. Their fragrant blooms are long gone, but the structure is still just as impressive. Thank you Jack. They are some of the better preserved gardens in Delhi and they are still investing a lot of money in restoring the surrounding tombs and temples. I believe the Aga Khan is behind it all somewhere.